Just About Anything: A Photobook... I Wish! every now and then i ask her to make me a badge or banner because I know her skills and she even gets free kits and even buy one. sali ka sa photobook contest ko, you might be the lucky partcipant lol.. Know what, same here, dami na photos isnce birth pero di ko pa naaayos. Parang mas naging priority ko kasi blog nya lol 6 months Old Photobook pa lang nagawa ko.. 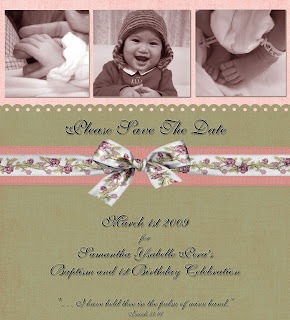 When i was pregnant naman, handmade scrapbooking ang nahiligan ko, dami kasi goodies sa 100yen shop.